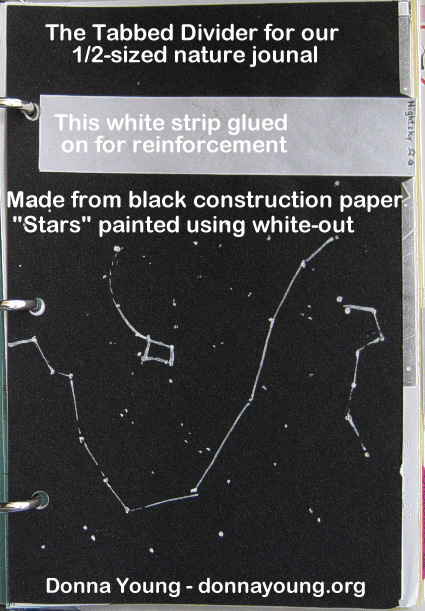 To add a bit of flair to the nightsky divider I made it from black construction paper and painted stars with white-out. A SUBcategory divider uses one half of a sheet of 9"x12" construction paper because construction paper is 1/2 inch wider that printer paper [8.5"x11"]. 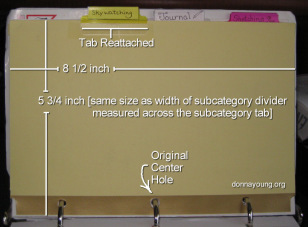 The body of the divider, not including the tab, is 5 1/2 inches by 8 1/2 inches, HOWEVER; do not cut it to that size because that will cut off the tab-to-be! Tab Height + Paper Width —First decide how far the tab should stick out. This divider, the one pictured, protrudes 1/4 of an inch. SO, cut the construction paper 8 1/2 inches x 5 3/4 inches. Tab Placement —Next decide where to trim so that the tab protrudes. 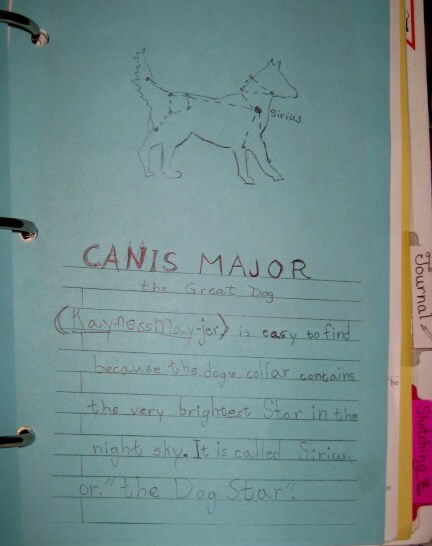 I positioned the nightsky tab in the second position. 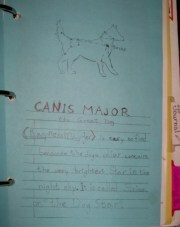 That is shown in the image at the top of the page. Cut the excess "side" off of the divider to create the tab. If reinforcement is necessary, add a strip of paper with glue from one side of the divider, over the tab and *fold* and across the back of the divider. NOTE: All of the subcategory dividers were made with construction paper in this way -not necessarily decorated, but made with construction paper with a tab that is cut to protrude 1/4 of an inch. 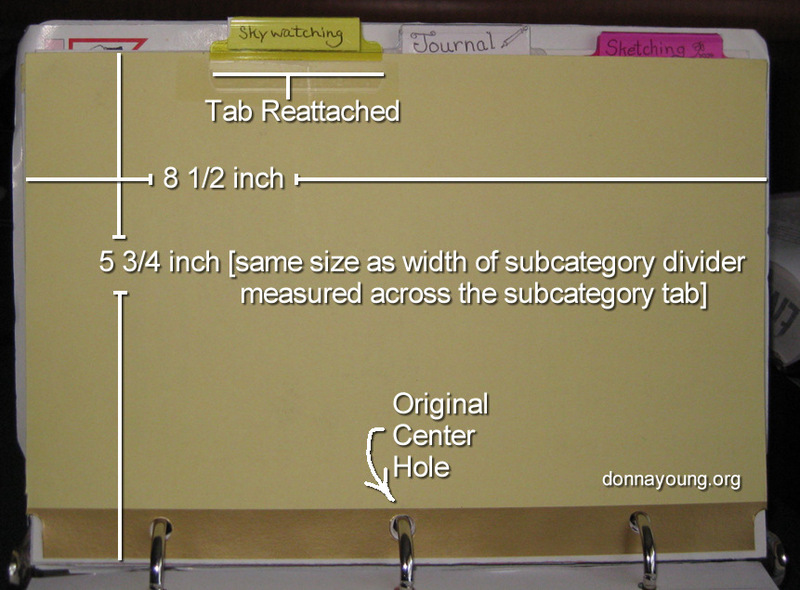 Two subcategory dividers can be made from one sheet of 9"x12" construction paper. The dividers for the main categories were cut from manila divers that I had laying around. The width of those were cut to the same width PLUS the tab as the subcategory dividers. [8.5" tall x 5.75" wide] This further protects the tabs on the subcategory dividers. While working on the page, Prepositional Phrases, I added files for the Thanksgiving song by Lydia Maria Child: Over the River and Through the Wood. The PDF version has a ruled right side for anything that you deem useful.